The standard PSA (prostate specific antigen) test was approved by the FDA in 1994. Each year millions of men are screened via a blood test for the PSA antigen which is created by the prostate gland. For many men this is when the serious life threatening trouble begins. 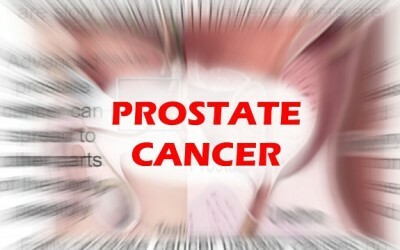 Early aggressive allopathic prostate cancer treatment can and does cause permanent damage including impotence, heart attacks, incontinence, and even death from a disease that is, ironically, statistically unlikely to kill them. To put it simply: the PSA test is overdone, usually leads to overdiagnosis, and may harm more than it helps. In 1970, Richard J. Ablin discovered the PSA. In a 2010 N.Y. Times Op-Ed piece titled, “The Great Prostate Mistake”, Mr. Ablin sets the record straight. Ablin explains that a PSA test merely measures how much PSA or prostate specific antigen is in your blood. Although elevated levels of PSA can be detected, that alone does not necessarily indicate prostate cancer. Why? Because common over-the-counter medications like Ibuprofen, benign prostate enlargement (an inevitable part of aging), and infections also elevate PSA levels. Men with high PSA readings can be cancer free while those with low readings can actually have cancer! His OpEd piece is here. The respected British medical journal Lancet of 13 February 1993 reported early screening often leads to unnecessary treatment and “33% of autopsies show prostate cancer but only 1% die from it.” Of course, the autopsies were done on men who had died of other causes. Gina Kolata of the New York Times cited two studies published in the March 2009 edition of the prestigious New England Journal of Medicine that concluded PSA screening increased mortality! 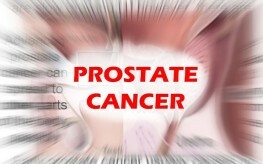 Studies have determined the lowest prostate cancer risks are among non-smokers and physically active men. Also, plant based diets and high intakes of selenium, zinc from natural sources, fish oil, natural vitamin E, magnesium, turmeric/curcumin, and lycopene from processed tomato products help ensure good prostate health. To nip early possible prostate cancer cells before the become tumors, start consuming fresh ginger or ginger extract now. Ginger root kills prostate cancer cells. This study confirms it.